Former state Republican Party chairman Ron Nehring of San Diego tossed his hat in the ring for lieutenant governor Tuesday. In a statement, Nehring called for a bold vision for California’s leaders and comprehensive reform of state government. 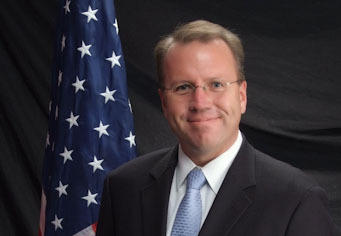 Ron Nehring, candidate for lieutenant governor of California. Campaign photo. Nehring, the state GOP leader from 2007-11, will face business owner John Estrada in the primary. Rep. Jeff Denham, R-Turlock, is also considering joining the race, according to reports. Incumbent Democratic Lt. Gov. Gavin Newsom is seeking reelection. Last month, Nehring was quoted by the Sacramento Bee as saying that a paucity of Republican candidates for statewide office left the party “two steps away from a nightmare scenario” that would harm GOP candidates for legislative and congressional seats. He’s the first Republican to join the race for lieutenant governor. Nehring has also been chairman of the Republican Party in San Diego County, and is a campaign consultant and commentator.